In this week's episode, we hear from Natalie Wood with Natalie Wood Designs. Natalie shares her journey with us as a young girl that dreamt of becoming a doctor and how that evolved into a brick and mortar store and later a nationwide online jewelry business. Natalie discusses the feeling of failure and despair while learning to trust God's plan and step into your purpose. 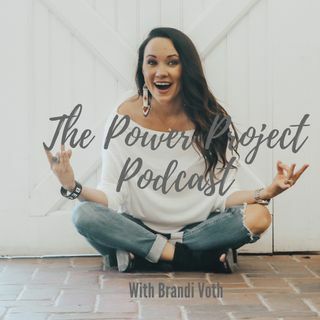 She shares with us the obstacles she had to overcome and how she navigated started a fashion boutique from ... See More the ground up and then later being called from that into the area of jewelry design. She speaks with us about the struggle of building a highly successful boutique and the current concern of maintaining her brand identity through a period of rapid growth. Natalie has key takeaways that will inspire you to go out and follow your purpose. Natalie is passionate about creating jewelry with a purpose. So, in honor of National Slavery and Human Trafficking Awareness Month, she has offered our listeners a code that will donate 20% of all proceeds to Refuge For Women North Texas, an aftercare center caring for the sexually exploited and trafficked individuals. Simply go to www.nataliewooddesigns.com and use code POWERPROJECT.